The Olympia Auto Mall The best new and used cars in Chehalis have to offer! If you're looking for a great car at fabulous prices, the Olympia Auto Mall is the place to go. Just minutes from Chehalis on I-5, this auto mall of new and used cars is like no other. Dedicated to making your buying experience the best it can be, the Olympia Auto Mall car dealerships excel in selection, service, and satisfaction. The Olympia Auto Mall certainly does have the largest selection of used and new cars in Washington State. With 9 dealerships and over 30,000 wheels in just one easy-access location, this auto mall works hard to make your car-buying/car-ownership everything it should be. Knowledgeable, helpful advice on features and options, service that keeps your car on the road and safe, and a location that makes the Olympia Auto Mall your source for everything automotive. That is what Chehalis and Washington folks love about the Olympia Auto Mall. Browse our Used Vehicles, or better yet, stop by and talk to the friendly folks at Olympia Auto Mall. We're located at 2125 Carriage Drive SW in Olympia, just off I-5. 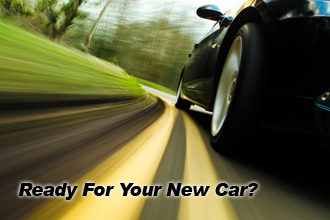 We will welcome you, make you feel at home, and help you find the car of your dreams. We know you will be pleased with our selection, service, and prices. If you need help with driving directions, just click here for a map and directions. A car purchase is one of the larger financial events in our lives. Getting the right car and enjoying the journey, is the best way to get you and your family seated in that new car. Visit us today and take advantage of our extraordinary specials and exceptional customer service. The Olympia Auto Mall is your source for cars in the Chehalis area. See our showrooms for the exciting new 2018 models!